This holiday season Audio-Technica makes giving the gift of great sound easy for music lovers and gaming enthusiasts. The AT-LP60SPBK-BT wireless turntable and speaker system let listeners enjoy records with wireless convenience — Bluetooth® speaker included! Audio-Technica’s wireless QuietPoint® noise-canceling over-ear ATH-ANC700BT, Solid Bass® ATH-CKS550XBT in-ear, and Pure Digital Drive ATH-DSR5BT in-ear headphones all offer outstanding wireless sound in a choice of styles. For everyone into gaming (which means just about everyone these days), the ATH-PG1 and ATH-PDG1 closed- and open-back gaming headsets take game audio to the next level. The new AT-LP60SPBK-BT wireless turntable and speaker system make a perfect gift for anyone who wants to get started with vinyl listening — or rediscover their record collection. The AT-LP60SPBK-BT (SRP: US$199.00) comes with everything needed to listen to records including a fully automatic AT-LP60-BT turntable with pre-mounted Dual Moving Magnet™ high-quality cartridge plus a Bluetooth stereo rechargeable speaker and accessories. The turntable provides 33-1/3 and 45RPM vinyl playback through the included speaker, which can be placed up to 30 feet away and even in another room. The turntable will also play records through other compatible Bluetooth wireless speakers, headphones and playback devices. The AT-LP60BT can also be used as a conventionally wired turntable and has a built-in switchable phono preamp for compatibility with the widest range of audio systems. This holiday season Audio-Technica’s ATH-ANC700BT QuietPoint over-ear wireless active noise-canceling (ANC) headphones offer an unmatched combination of comfort, wireless convenience, and improved ANC technology. The noise canceling operates in a wider frequency range than typical ANC designs, yielding a major advancement in noise-canceling performance and audio quality. For some listeners, it’s all about the bass, and Audio-Technica’s Solid Bass ATH-CKS550XBT in-ear wireless headphones offer powerful low-frequency performance along with clear, detailed midrange and treble. The ATH-CKS550XBT (SRP: US$119.00) features a comfortable ergonomic design and is equipped to answer calls and control music playback. Its NFC functionality allows easy pairing with other devices. Available in black/gold and white, the ATH-CKS550XBT employs a 9.8 mm Dual Magnetic Field Multiple-Transition driver and a special bass venting system for exceptional bass reproduction and includes aptX sound-improvement technology. It comes with XS/S/M/L ear tips, a USB charging cable, and a cable for use if the battery runs out. Is there a discerning listener on your holiday gift list? 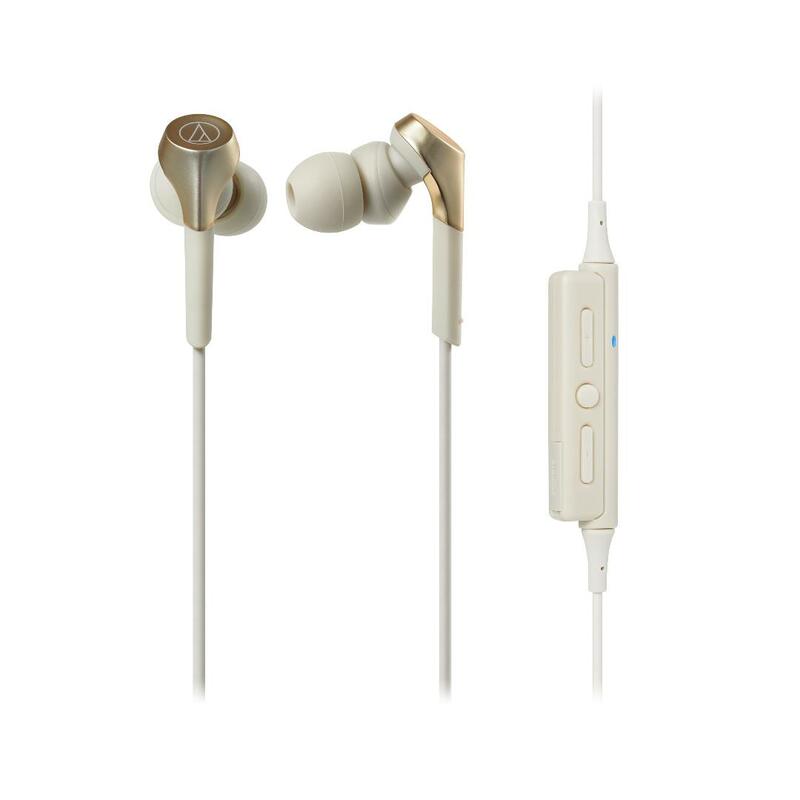 If so, they’ll be sure to appreciate the ATH-DSR5BT wireless in-ear headphones with Pure Digital Drive (SRP: US$399.00). This rave-reviewed, exclusive Audio-Technica technology keeps the audio signal completely digital from source to the driver, using a dedicated chipset to eliminate the sonic degradation that can be caused in traditional D/A converters and amplifiers. The result is remarkably pure, detailed and natural wireless audio quality. Games are always popular holiday gifts — and the gaming experience just isn’t complete without clear and powerful sound. Audio-Technica’s high-performance ATH-PG1 closed-back and ATH-PDG1 open-back headphones deliver an immersive, richly detailed sonic environment. The ATH-PG1 and ATH-PDG1 (SRP: US$129.00 each) offer a host of gaming-centric features including a flexible gooseneck microphone with detachable cable, smartphone cable, extension cable, and lightweight comfort-fit design. The headsets’ large-diameter drivers deliver intense sonic involvement with an expansive sound space that draws listeners completely into the playing field. Local vs. global is a debate for many of us. Should we support neighborhood businesses or encourage social change around the world with gifts that support emerging economies? This holiday, Marketplace Africa suggests that we enjoy the best of both worlds and Eat Local, Shop Global. Enjoy the fruits of your neighborhood by buying local produce, supporting farmers’ markets and patronizing nearby restaurants. Then shop for unique gifts that support entrepreneurs and artisans in emerging African markets through Marketplace Africa. Marketplace Africa offers a range of gifts for everyone on your list, including unique women’s and men’s fashions that offer distinctive looks using both modern and traditional techniques, as well as jewelry, body care, handbags and more. DHL provides the peace of mind as the leader in global shipping and even verifies the product prior to shipping. Marketplace Africa, a joint venture between global shipping leader DHL and Africa’s e-commerce leader, Mall for Africa, features women’s and men’s fashion, jewelry, gifts, body care and more. The partnership takes the complexity and uncertainty out of global online shopping. DHL handles all logistics services for the marketplace, including an exclusive product-verification process prior to shipping, while Mall for Africa’s award-winning, patented e-commerce platform manages Marketplace Africa’s proprietary platform and payment system. So American shoppers have access to innovative designers and craftspeople across Africa creating stunning, world-class products using both traditional and cutting-edge techniques, while African businesses are able to connect to new markets and new customers. 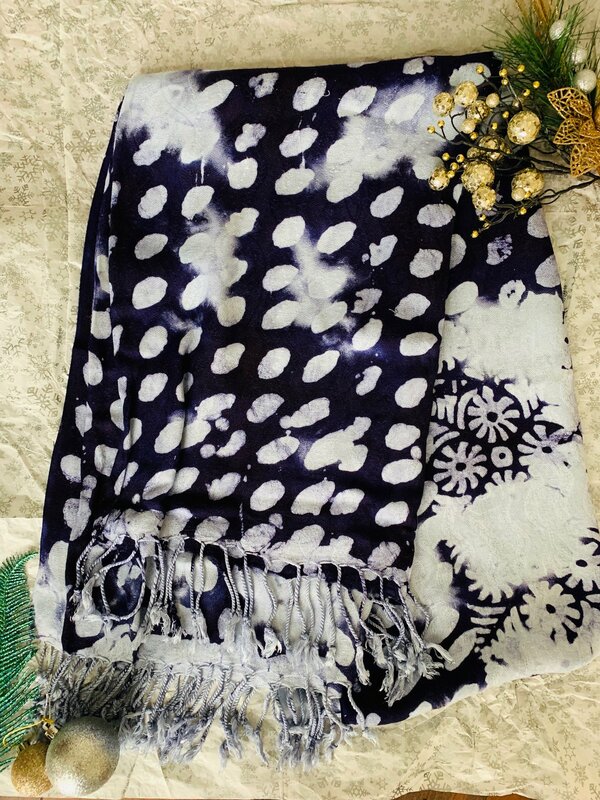 Purchase the scarf for $34 and other fabulous fashion products here: marketplaceafrica.com. Be sure to shop on or before December 7th to Ensure Delivery before Christmas! 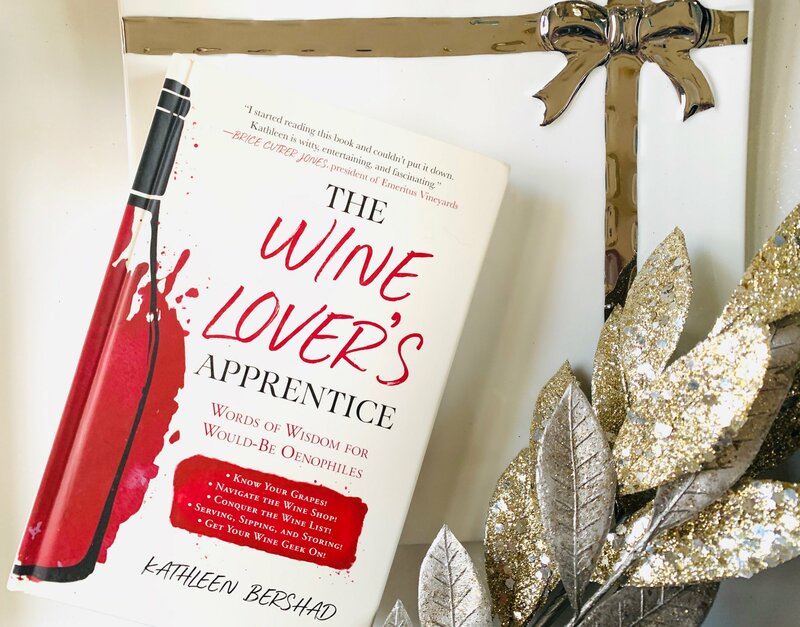 The Wine Lover’s Apprentice is a quick and easy guide for anyone who wants to learn more about wine but doesn’t know where to start. It’s written in a chatty, breezy style with tips and hints for picking a bottle of wine from a store shelf or restaurant list; suggestions on serving and storing wine; and details on how to know what you’re tasting when you taste wine. In addition, The Wine Lover’s Apprentice breaks down the world’s major wine regions into easy “sips” that include an overview of the best and best value areas to look for when you’re wine shopping, plus lots of other fun facts and info! This is the perfect gift for the wine lover in your life! I personally got my hands on this book and read it, and it’s AMAZING! Where has this book been all my life?! I’ve learned so much from it and have been sharing it with my fellow wine-loving friends! This is a fabulous, inexpensive gift I’ll be personally picking up for some of my friends and family this Christmas! Here are a few exerts from the book so you can get an idea of some of the amazing, super informative wine info you’ll find in it! Follow the Wine Concierge on Social Media! I personally picked this up for myself on Cyber Monday. Being a fashion blogger, I knew this is something that would totally come in handy for me! But you don’t have to to be a blogger or influencer to appreciate its amazing hands-free picture/video taking abilities and other fab features either! This baby will actually help you organize your closet and help you choose the best outfit too! It’s incredibly easy to set up and takes only a few seconds with a quick download of the app! The pictures are absolutely amazing and the camera naturally blurs the background, giving a really amazing professional quality that is so hard to find anywhere else- especially hands-free! This amazing camera is easily worth every penny and I know it’s something I will continue to use daily! 6. 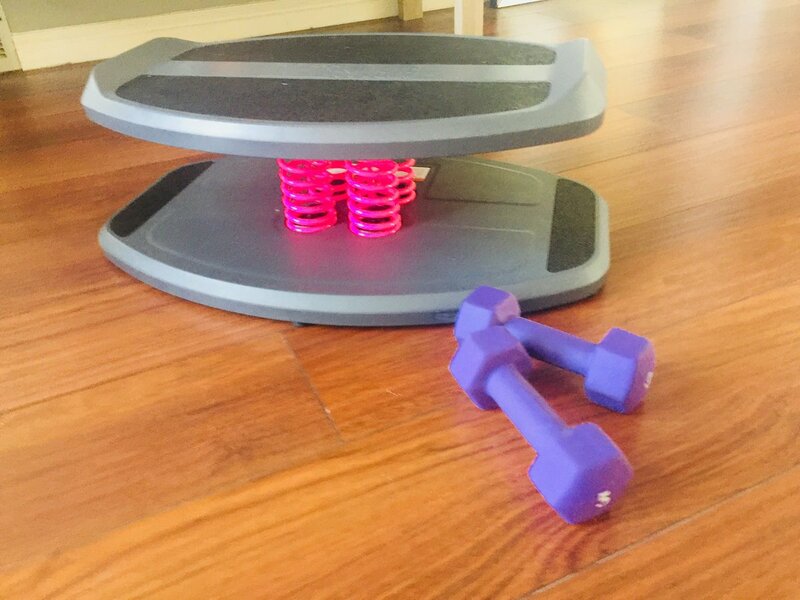 Strongboard: Burn twice the calories with every workout! Unlike any other balance or stability trainer on the market, StrongBoard Balance® employs Multi Spring Technology™ (MST). With a flat, rubberized platform, and 180 degrees of tilt in every direction, StrongBoard Balance® offers the most dynamic range of motion while simulating real-life situations and sports movements. It allows individuals to use their own body weight to create resistance and instability. 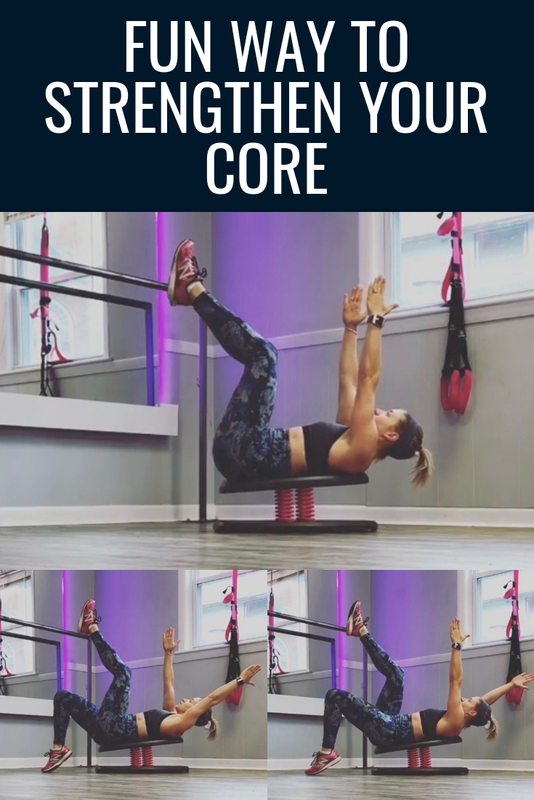 As the human body naturally seeks stabilization, it must recruit various muscles and keep the core engaged throughout the workout. StrongBoard Balance® is a first class lever system offering stimulation through multiple planes. As every action has an equal reaction, the spring technology forces variable surface movements requiring the user to react and adjust to involuntary shifts in weight distribution. Simply standing on StrongBoard Balance® provides a complete core workout. Who will benefit from it? Whether users are sedentary or athletic, StrongBoard Balance® offers a challenging workout for everyone, every time. Regular use of StrongBoard Balance® improves overall balance, coordination, posture, and strength through various functional training movements. StrongBoard Balance® also provides joint mobility, dynamic, and core stability, increasing flexibility and range of motion. This unique training aids in hip and torso stabilization and increases muscle memory by creating motor neurons and heightening your vestibular system. These actions expedite injury rehabilitation, help prevent future injuries, benefit geriatric conditions, and most of all, and make exercise challenging and fun! I’ve been using the StrongBoard for a few months now and love how much of an ab workout I get no matter what I’m doing! It is tough and works the body and makes any workout a great workout! I love that I’m improving my balance while burning those calories too! You can also customize the board by choosing the color of the springs! Don’t forget to join their email list and get new weekly workouts using the StrongBoard – sent right to your email! The New Breakthrough Embr Wave bracelet lets you control your temperature! 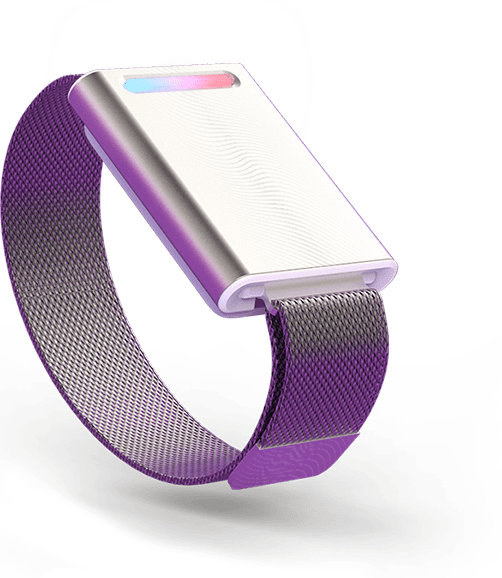 Embr Labs, the first company to make temperature personal, is helping people find warmth and relief during the holidays with an extraordinary stocking stuffer: the Embr Wave bracelet. The company’s flagship product, Embr Wave is a revolutionary new wearable device that precisely cools or heats the temperature-sensitive skin on your wrist, helping you feel cooler or warmer in minutes. This is for sure something I’m really hoping to get this year for Christmas! I tend to always be cold and I can’t even imagine being able to warm up at the simple touch of a button! This gift is great for anyone who tends to run on the hot or cool side, or perhaps for maybe a family member or friend who is going through Menopause. Ugh! Just a thoughtful little gift to help keep them comfortable! Visit EmbrLabs.com from Now Until CHRISTMAS and get $50 – making the EmbrWave just $249! 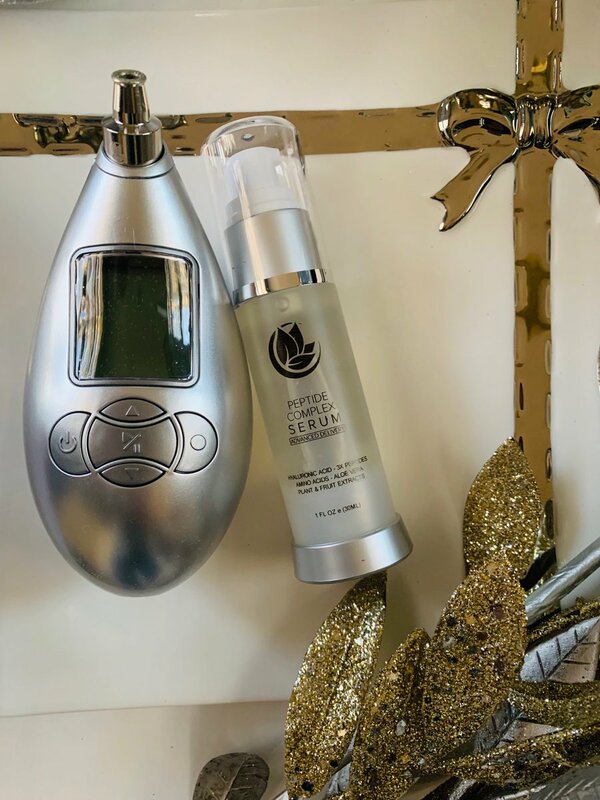 This one is a little pricier (think anywhere from $550-$1000, depending on where you get it and what attachments you get), but it makes a pretty amazing gift for the beauty lover on your shopping list! The set comes with a pre-styling dryer (something that would cost about $300-$400 on its own! Plus you get 4 curling barrels, 2 smoothing brushes, and a volumizing brush too! It truly is an ALL-in-one hair styling kit! Get it Here on Amazon.com and check out all the TONS of rave reviews here while you’re at it! This is a holiday gift that won’t disappoint! 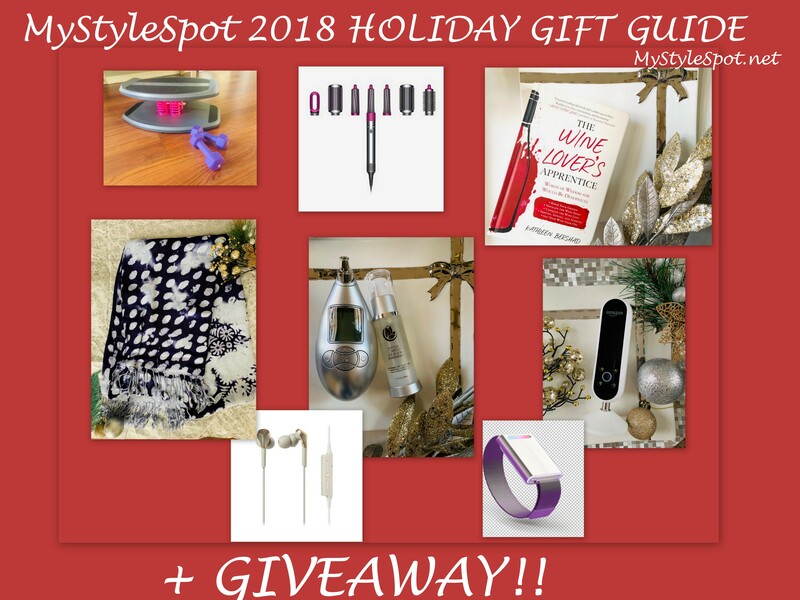 There you have it, The MyStyleSpot 2018 Holiday gift guide, featuring 8 gifts – perfect for everyone on your Holiday Shopping List! Now here’s your chance to win them! ENTER TO WIN prizes from Microderm Glo and more! The The New Dyson Hair Styler! & I would keep it for myself actually. nice, I want to try it. It would be the Echo Look by Amazon, Featuring Alexa. I would give this to my daughter, she would love it. Lots of great information & giveaways. Thanks! I like all of them but would really like to try the hair styler. Thanks for the opportunity! I want the EmbrWave AND the Dyson dryer. I’ve been very very good this year, and patient, very, very patient. Of coure the Microderm Glo would also rock my world, I’m flexible. The Echo by Amazon for me! 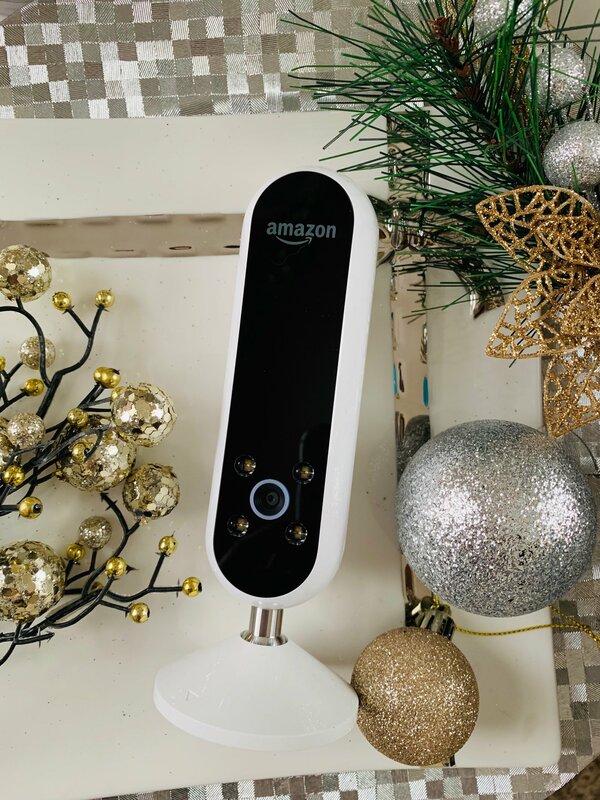 The Echo by Amazon for me!!! That EmbrWave bracelet sounds amazing! The temperature at work is so finicky that I’m either too hot or too cold. Would love to be able to self regulate! I’d take the EmbrWave bracelet for myself, but I’d love to gift the scarf to my mom! The design reminds me of a snowy day and she loves the cold weather. And pretty scarves! The strongboard is my favorite, and I would keep it all for me! My fave is the Dyson styler, and I would give it to me! My favorite product in the Holiday Gift Guide is the EmbrWave Bracelet, which I would gift to myself since I’m cold-natured. I love the strongboard. I would give it to my daughter as she is an avid workout girl. The Audio-Technica Headphones look pretty awesome. I would gift to my husband. I’d love to have the Echo Look. Very fun. 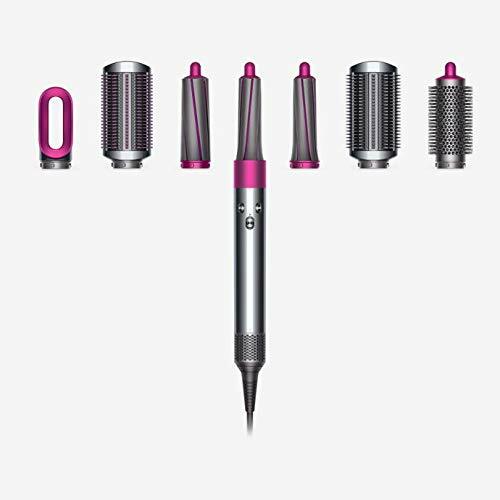 My favorite product in the Holiday Gift Guide is the New Dyson Hair Styler. I must say I would have to keep this for myself. It is on my wish list!